Mission Statement: The Lake Roland Nature Council is an all-volunteer, non-profit organization dedicated to the stewardship of Lake Roland, a 503-acre nature park, as a public space for passive recreation and educational programs. The Lake Roland Nature Council works in partnership, as the only approved nature council for Lake Roland (park), with the Baltimore County Department of Recreation and Parks to maintain, preserve and protect the natural environment of the park as well as to maintain, preserve and protect the historic structures, trails and roads in Lake Roland. The responsibilities of the Lake Roland Nature Council regarding the park are within the physical boundaries of Lake Roland. Matters affecting the park that are outside the physical boundaries of the park fall within the purview of our partner, the Baltimore County Department of Recreation and Parks. To support these initiatives and activities within Lake Roland, the Lake Roland Nature Council actively fund raises on behalf of the park for infrastructure projects, restoration projects and equipment that supports these efforts. Lake Roland Nature Council also supports and assists the Baltimore County Department of Recreation and Parks in the planning of recreational and educational programs and activities that take advantage of the natural and man-made attributes of Lake Roland. These include multiple trails for hiking, biking and strolling; a dog park, pavilions, and waterfront activities such as canoeing and kayaking. The park also offers opportunities to enjoy rare plant life that exists only in the serpentine barrens which the Lake Roland Nature Council diligently works on restoring and preserving. The Board of Directors of the Nature Council meets at 6:30 pm on the third Wednesday of each month in the new Lake Roland Nature Center. Our meetings are open to the public, so please join us. Download our governing Bylaws (PDF). 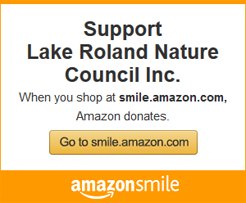 Lake Roland Nature Council is a non-profit 501(c)(3) organization. The Nature Council welcomes new members and volunteers. Download our Membership Form here (pdf). For more information on our Committees, please click here.